Colony of Rhode Island and Providence Plantations was founded in 1764 in Warren, Rhode Island, it is ranked seventh as the oldest university in the United States, and it is one of the eight Ivy League universities. Since its establishment, Brown was the first institutions in the country to accept students regardless of their religious affiliation. In 1770 the college moved to College Hill and after years serving and a great deal of money by the Brown family, in 1803 the university was rebaptized to Brown University. In 1847, the first Ivy League engineering program was established there and in 1887 masters and doctoral studies were implemented. In 1969, a reform was implemented, named the New Curriculum, and its key features included the introduction of interdisciplinary programs and the abandonment of the traditional distribution requirements. With 235 buildings distributed over 143 acres, the University is located on College Hill, in Providence. The current president is Christina Hull Paxson and she took the office in 2012. Brown University has been highly rated by everyone, not only nationally, but also internationally, as they currenlty offer a wide range of programs (such as Medicine, Computer Science, Engineering, Chemistry, English, History, Economics and Applied Mathematics), and all of them are one of the best in the country and in the world as well. In addition, Brown University is known for having excellent research facilities and it is currently ranked as the 66th in the United States by research, by the National Science Foundation. Brown University has a great spirit and more than 10% of the students are in fraternities and sororities, with 11 houses combined. Furthermore, there are historical clubs and societies such as the Pacifica House and the Cammarian Club, which is named Undergraduate Council of Students. There are over 300 registred student organizations on campus with a wide range of interests and activities, and several Resource Centers, that act as sources of support and safety fot students to explore their identity. Brown is an amazing university. The students are all very friendly, willing to help and passionate about their studies. The professors are incredible, really care about their students and are always willing to talk to them. There are also many opportunities for undergraduate research. However, what sets Brown apart from many other elite universities is the fact that it has an open curriculum. As a student you are able to take classes in any area you might be interested in, as you are never worried about completing a core. With Brown University having no required core curriculum, students can jump right into the classes required for their area of study, and outside of that only take classes they want to take. The academic freedom doesn’t end there, as students can create their own area of study as well. The university does a good job of promoting diversity and inclusion. I would definitely recommend Brown University to others. If you're the owner or representative of Brown University, you can claim this University and build a better profile. 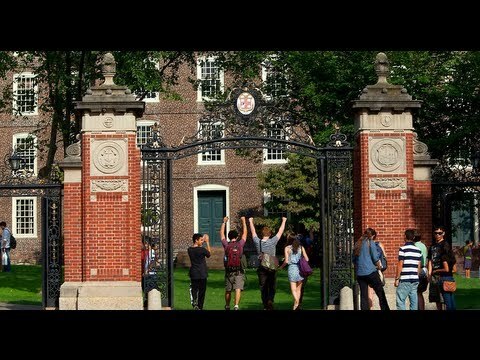 Interested in studying at Brown University?